Most people, after a debilitating stroke, would be concentrating hard on looking after themselves and recovering as best they can. But Cheryl Sklan, a busy professional — she was a social worker, a psychotherapist and a life coach — is not most people. She had a massive stroke 10 years ago. “I’d been very active, but when I started getting better I realised I couldn’t just sit at home, I needed something to do”. For Cheryl, volunteering was the answer but she didn’t particularly want to work with stroke survivors. She was casting around for something to do — “and watching an awful lot of daytime television” — when she had what might be called her Eureka moment. “I saw a TV programme in which a group of refugees were talking, and one man said that he’d never been into a British home”. That’s it, thought Cheryl. I’ll invite people into my home. It was not, she acknowledges, an immediately popular move with her friends and family. She was divorced, living on her own, and people thought it might be dangerous. But Cheryl thought she could provide support and help for people to understand British — and Jewish — culture. 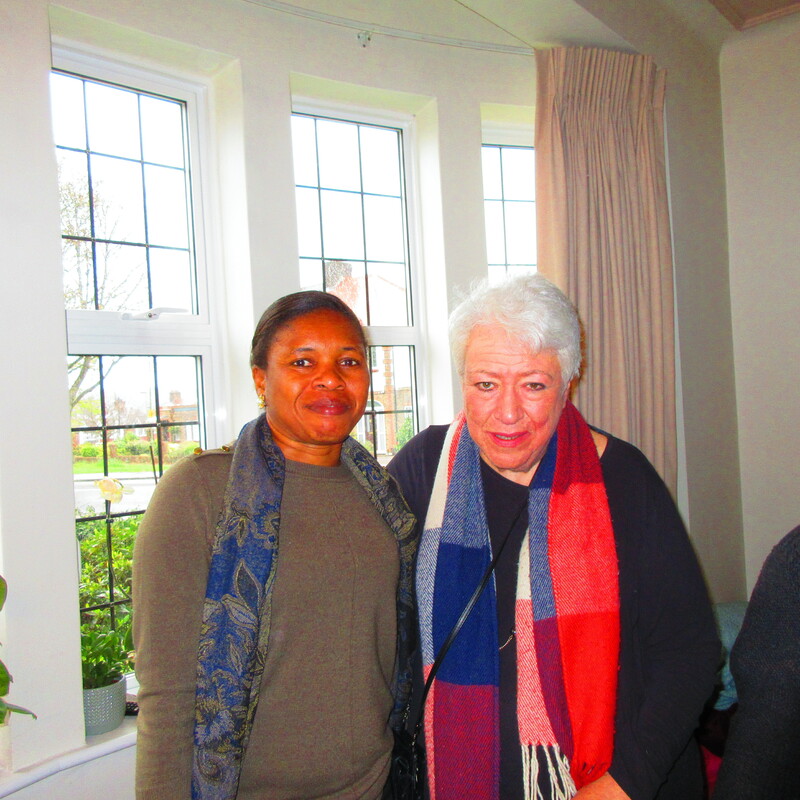 Three years ago, through Barnet Refugees, she welcomed 10 women into her house in Edgware. 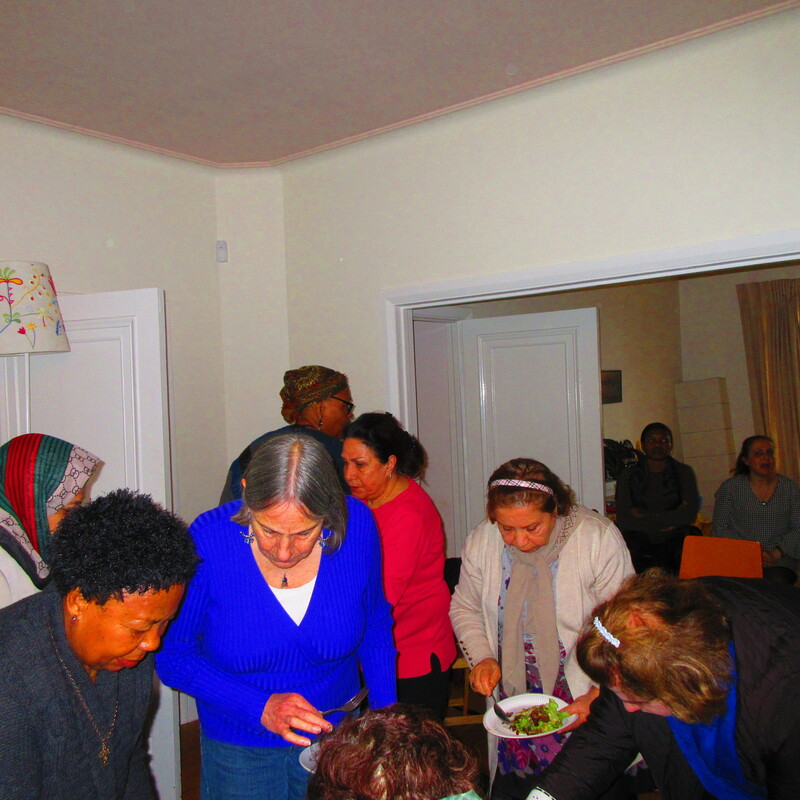 And these days her project has become a mini-phenomenon: every week, between 18 and 20 women from all over London, asylum seekers and refugees, crowd into the home she now shares in Woodside Park with her daughter and her family. 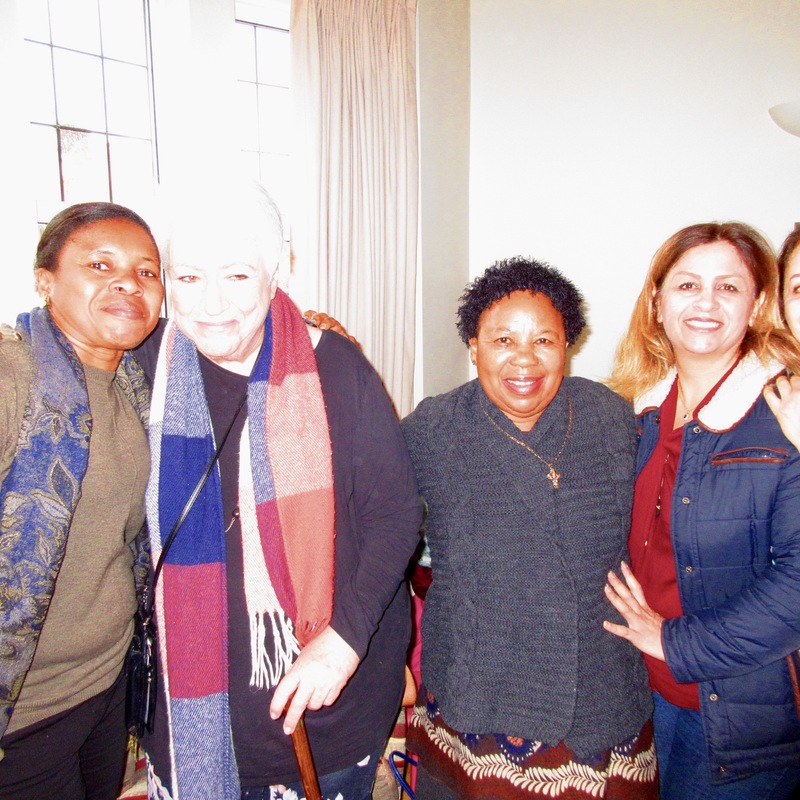 The Refugee Women’s Group now operates under the aegis of Cheryl’s synagogue, Kol Nefesh Masorti, which, as a registered charity, administers the costs of the enterprise, which relies entirely on donations. The women are mainly from Iran and Africa, and the project is so popular that the attendance is now split, so that one week is mainly Iranian women, and the alternate week is mainly women from countries in Africa. Most of the women are in their 40s onwards. Every week follows a similar format: the women sit in a circle with Cheryl and some of her friends who are volunteers. Each woman identifies herself and then tells the circle what she has been doing in the last fortnight. The stories are often of visits to hospital or doctors, as the stress of adapting to a new country, with perhaps minimal language skills, and not knowing their citizenship status, tell on the women. On a recent rainy Tuesday I joined Cheryl’s group. The women arrive from all over London and at the end of two or three hours, sharing their stories, they go away with small cash amounts to cover their travel costs — between £5 and £10. Cheryl, who rarely takes no for an answer, asked a local restaurant, Michael’s, if she could have some left-overs for the weekly meetings. Not only does Michael provide left-overs, but the Israeli owner often makes fresh food for the refugees — felafel, hummus, salads. The women bustle into the kitchen and help set up the food, which they fall on once the formal talking is done. The week before my visit, Cheryl recorded the presence of a woman who arrived “with her adult daughter, Shakil, who is pregnant with her first child. The father has left her and she lives alone with her mother, who has just had her application action for asylum turned down. Neither mother or daughter have any income; both rely on charity. Shakil’s mum was married at 12 years old. Her face carries lines of immense pain. “She has not had an easy life. The baby is due in May. They have been told they can’t carry on living in their one bedroom flat once the baby arrives. “Shakil was an interpreter but has not worked for the last few months. She has had problems with her pregnancy. Both women are stressed, distressed and frantic. I worry about them and suggest they phone Barnet Refugees and see if they can refer them for help”. “Another woman turns up: Rose, from Uganda, wonders about a group of people dressed in fancy dress and behaving in a drunken manner on Clapham Common. Purim! We told them the story of Purim! “We ended up talking about the freedom in the UK to express ourselves. We ate, planned a KNM lunch and organised a group to go to the Nisa-Nashim conference on dialogue between Muslim and Jewish women”. What is remarkable about this group is that the women are both Muslim and Christian, but have no qualms — at least, none expressed — about participating in something under the auspices of a synagogue. Some go to other gatherings in chilly church halls, but what they like about Cheryl’s group, they say, is that it takes place in a home. For some it is a reminder of homes they left; for others it is a glimpse into a British lifestyle, and the Jewish part of that doesn’t seem to faze them at all. Today’s theme, however, is about language and specifically about how well people can speak English. Cheryl goes round the room and asks each woman to say how long she has lived in Britain and how well she speaks English. 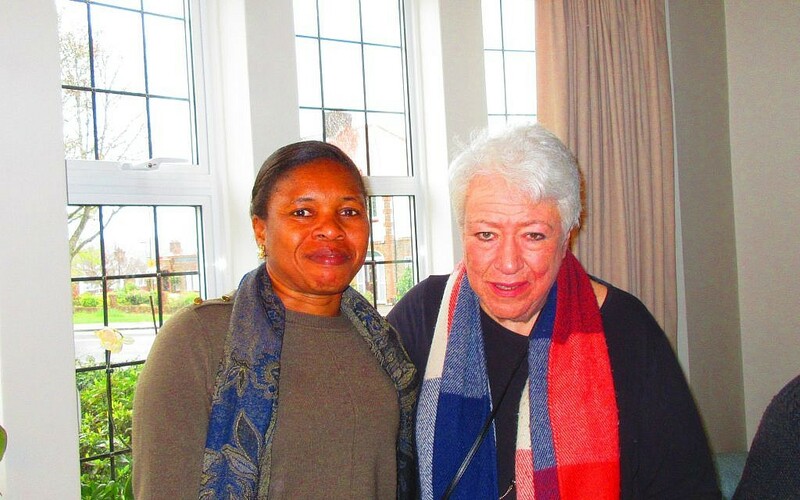 Generally the Iranian women have a poorer grasp of the language than those present from the Congo or Eritrea, and some, today, rely on long-term attendee, Toran, to translate for them. A rapid fireburst of Farsi later, the women are offering their stories. Sorilla is from Iran and has been in London for five years; two women are each called Fatima (“Fatima One and Fatima Two” because their real surnames both begin with the same letter and thus can’t be Fatima A and Fatima B); some tell of their struggles with English classes and others, heroically, recount a determination to master English and thus British society. Cheryl sits and makes notes, often working out later who needs to be referred to specialist authorities which can offer much-needed legal and professional advice. She and her volunteers do not offer such advice: instead the group is a much-needed sounding board for the women, many of whom, after three years, are good friends. We hear stories of hospital visits and pending operations, of cheeky grandsons who translate for their grandmothers, of sheer puzzlement looking at unfamiliar ingredients in supermarkets, and of rare triumph from women who have got themselves through the bureaucratic hoops and secured British citizenship. Josephine, a 95-year-old volunteer, suggests that if the English classes are not good, then there is little incentive for the women to keep attending. More useful has been the small intimate conversations she has been able to strike up with the women, in the informal times when they are eating. They all nod, vigorously: they love Josephine and love to speak a little English with her. All too soon for the women the session ends, and they collect their small amounts of cash to cover their travel. Most have wide smiles, often just from the joy of getting out of cramped living quarters to share experiences with others in the same situation. It’s not a day spent with the authorities, but a day where they can let their hair down and be themselves.